It was at the Second Vatican Council, a world assembly of bishops held in the Vatican between 1962 and 1965 that the idea of a Justice and Peace Commission of the Catholic Church was first suggested. “The Apostolic Exhortation Evangelii Nuntiandi, for its part, is very closely linked with development, given that, in Paul VI’s words, “evangelization would not be complete if it did not take account of the unceasing interplay of the Gospel and of man’s concrete life, both personal and social.”(EN, 29). “Between evangelization and human advancement — development and liberation — there are in fact profound links” (EN, 31): on the basis of this insight, Paul VI clearly presented the relationship between the proclamation of Christ and the advancement of the individual in society. Testimony to Christ’s charity, through works of justice, peace and development, is part and parcel of evangelization, because Jesus Christ, who loves us, is concerned with the whole person. These important teachings form the basis for the missionary aspect (cf. SRS, 41) of the Church’s social doctrine, which is an essential element of evangelization (cf. CA 5. 54). The Church’s social doctrine proclaims and bears witness to faith. It is an instrument and an indispensable setting for formation in faith.” (BENEDICT XVI, Caritas in veritate, 15). Caring for Creation is so important to our calling as Franciscans. Following the Gospel of Christ, Francis cared for all of creation as he recognised that we are all brothers and sisters with one primordial source who is God our Father. By creation, we understand all things created by God including human beings, the whole natural world and beyond. Inheriting the spirituality of St. Francis, we have a special charism to care for creation. Francis also insisted that his followers be Catholics, and therefore we need to know Catholic Social Teaching so as to respond faithfully to the issues of our times. 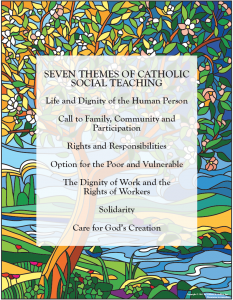 Catholic Social Teaching is the basis for Justice, Peace and the Integrity of Creation in the Church, so we need to understand this teaching well. You can view this teaching by clicking on The Social Doctrine of the Church. 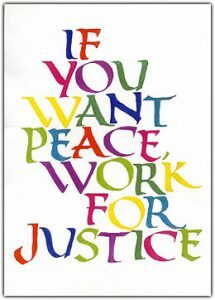 It treats of Justice issues such as human rights and duties and human work, rights and solidarity among workers. The topic of safeguarding the environment is set forth, especially with reference to the crisis in the relationship between humans and the environment. 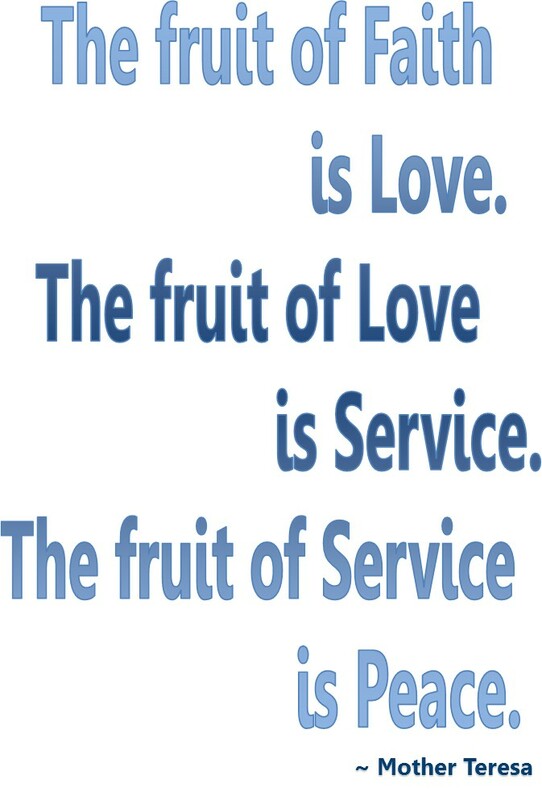 The promotion of Peace includes a section describing peace as the fruit of justice and love. Justice, Peace and the Integrity of Creation (JPIC) are in the first place, biblical values. Secondly, they are an ecclesial structure that seeks to promote a commitment to these values in the Church, in each Christian, and in all ecclesial bodies. 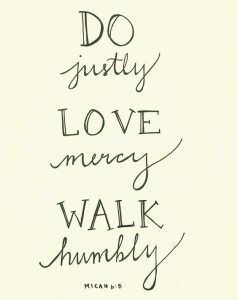 Justice, Peace and the Integrity of Creation are above all values of the Kingdom of God. As such, God Himself is involved in and committed to the task of making the world a place that is just and reconciled, providing a dignified life to all creatures. In Jesus Christ, God reveals His desire to recreate humanity and all creation (cf. Col 1, 15-20). In the mystery of the Incarnation, the minority of God shines forth, His condition as servant of humanity (cf. Phil 2, 6-8), His proximity to the poor and the little ones, His decision to be God-with-us. In His programmatic discourse found in Luke’s Gospel, Jesus presents Himself as the one who has been consecrated by the Spirit to bring glad tidings to the poor, to proclaim liberty to the oppressed and to captives, recovery of sight to the blind and to announce a year of favor from the Lord (cf. Lk 4,16-19). These are signs of the Kingdom. In fact, the mission of Jesus is centered in the proclamation of and witness to the Kingdom of God. 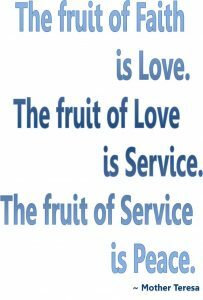 Among the values of the Kingdom of God, justice and peace receive a central place. In the Beatitudes, the Magna Carta of the Kingdom of God, Jesus declares that those are blessed who hunger and thirst for justice, and for those who are persecuted for this reason, “theirs is the Kingdom of Heaven” (Mt 5, 6.10). Equally blessed are the “peacemakers; they shall be called children of God”” (Mt 5,9). In another passage, Jesus clearly indicates what is important in Christian life: “Seek first the Kingdom of God, and His righteousness” (Mt 6,33). Jesus Himself sought first the Kingdom of God and His justice, and showed hunger and thirst for justice and was persecuted because of it. He Himself was the source, the giver and the cause of peace. The salvation offered by Jesus involves all aspects of people’s lives. He saves and frees them in a holistic way. Like the Good Shepherd, He wants to share His life with us and put Himself at the service of life. He cures people physically and spiritually, forgives sins, reintegrates people into the community, practices table fellowship with sinners and those who are socially marginalized, encourages sharing, approaches lepers and touches them, helps people to get on their feet, motivates them to be of service, denounces the contradictions of the powerful and of the religious and political authorities, values and gives dignity to women and children. He invites everyone to conversion, to have faith and trust in God the Father, and to have compassion for the poor. He also invites them to hear the Word and to put it into practice, showing love to all, including one’s enemies. 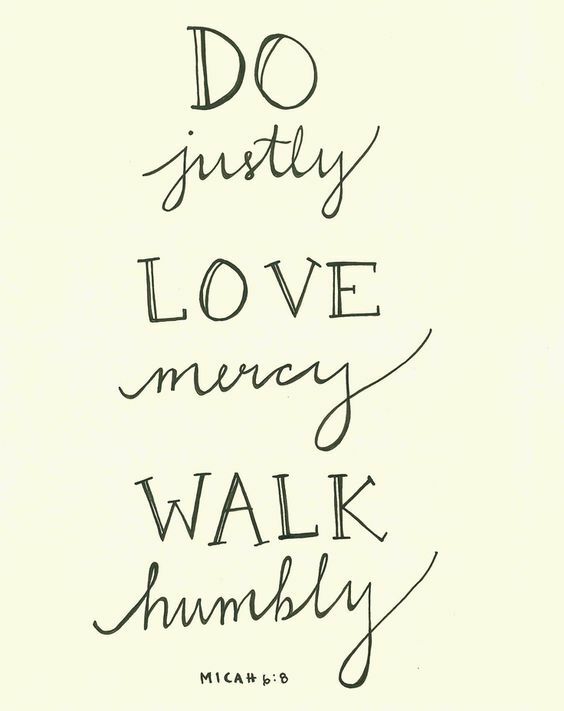 The justice practiced and proclaimed by Jesus is linked to mercy. The peace He offered is not of this world, and is the fruit of profound reconciliation. To propose justice and peace, to put them into practice with renewed efficacy, He chose the path of love to the point of giving His own life. In this way Jesus revealed that the God of the Kingdom is a God of love who offers Himself to save, justify and reconcile the world. All of creation is included in the gift of freedom offered by the Christ event: “…the whole created world eagerly awaits the revelation of the sons of God….the world itself will be freed from its slavery to corruption and share in the glorious freedom of the children of God” (Rm 8,19-21). If all things in heaven and earth were created in Christ, the firstborn of all creation, and if in Him they continue in being, then in His death and resurrection Jesus Christ reconciles all things: the entire universe, everything in the heavens and on earth (cf. Col 1, 15-20). During the Second Vatican Council, the idea of a Justice and Peace Commission of the Catholic Church was first suggested. In the document called Gaudium et Spes, the Church committed herself to social and political action directly associated with the mission received from Christ: “Christ did not bequeath to the Church a mission in the political, economic or social order; the purpose he assigned to it was a religious one. But this religious mission can be the source of commitment, direction and vigor to establish and consolidate the human community according to the law of God” (GS 42). With impetus from biblical scholarship the Council got the Church to turn her gaze towards the world and towards history. In Gaudium et Spes, there is a positive evaluation of the world as something that has been created by God, redeemed by Christ and called to fullness. The Council directed the whole Church and every Christian to serve the world by building the Kingdom of God. This orientation is described in the famous opening statement of Gaudium et Spes: “The joy and hope, the grief and anguish of the people of our time, especially of those who are poor or afflicted in any way, are the joy and hope the grief and anguish of the followers of Christ as well” (GS 1). 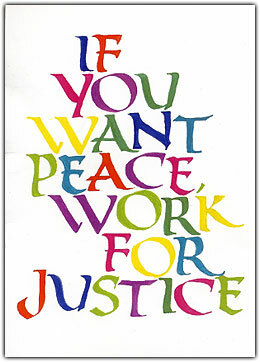 The promotion of justice is now accepted as an integral part of the Gospel (Synod of Bishops, 1971). Also a strong gospel and theological relationship exists between evangelization and human development: “It is impossible to accept that the work of evangelization could or should ignore the extremely grave questions so much under discussion today which refer to justice, liberation, development and peace in the world. If that were to happen it would mean ignoring the teaching of the Gospel concerning love of our neighbor who is suffering or in need” (EN 31). We need only recall the synods, social encyclicals, and episcopal statements that have taken seriously the orientation repeated so many times by John Paul II: “Man in the full truth of his existence, of his personal being and also of his community and social being…this man is the primary route that the Church must travel in fulfilling her mission” (RH,14). In 1967, Pope Paul VI established the Pontifical “Justice and Peace” Commission as recommended in Gaudium et Spes: “Taking into account the immensity of the hardships which still afflict a large section of humanity, and with a view to fostering everywhere the justice and love of Christ for the poor, the Council suggests that it would be most opportune to create some organization of the universal Church whose task it would be to arouse the Catholic community to promote the progress of areas which are in want and foster social justice between nations” (GS 90). In 1988, Pope John Paul II changed its title from Commission to Pontifical Council. “The Council will promote justice and peace in the world, in the light of the Gospel and of the social teaching of the Church (art. 142). It will deepen the social doctrine of the Church and attempt to make it widely known and applied, both by inpiduals and communities, especially as regards relations between workers and employers. These relations should be increasingly marked by the spirit of the Gospel. It will heighten awareness of the need to promote peace, above all on the occasion of the World Day of Peace (art. 143). All that touches upon social justice, the world of work, international justice issues, and problems associated with development, especially its social dimension. Also ethical reflections on the evolution of economic and financial systems, including their impact on the environment, and the responsible use of the earth’s resources. All thats related to war, disarmament and the arms trade, international security, and violence in its various and ever-changing forms (terrorism, exaggerated nationalism etc.). Also political systems and the role of Catholics in the political arena. 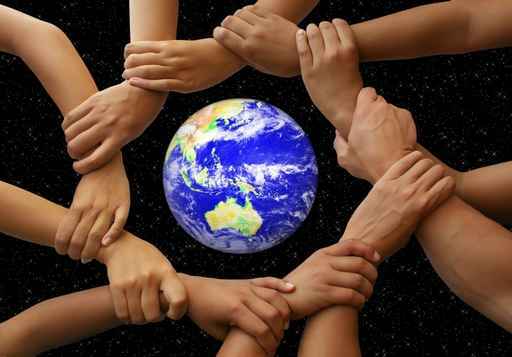 It is responsible for the promotion of the World Day of Peace. This question has assumed increasing importance in the mission of the Church and consequently in the work of the Pontifical Council. 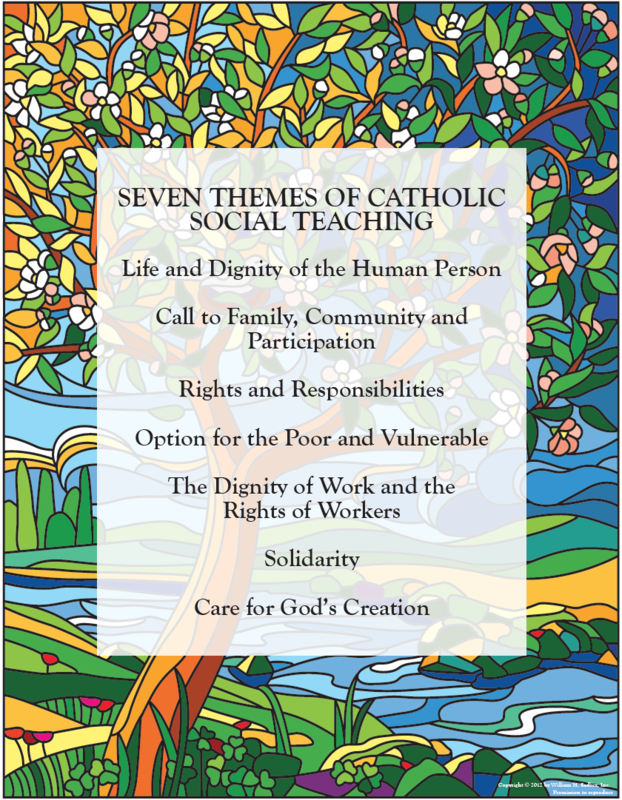 Catholic Social Teaching has highlighted the dignity of people as the basis for promotion and defense of their inalienable rights. In the beginning little concern was shown for ecology. In 1967, however, the same could be said for society in general. The first United Nations Conference on ecology was held in Stockholm in 1972. The book The Limits to Growth was published in the same year, and raised a world-wide alarm. Yet the ecology theme was not very evident in the pontificate of Paul VI. It was in the time of John Paul II that the Church developed a greater sensitivity to the issue. In fact, John Paul II dealt extensively with ecology in his teaching, and this ecclesial concern accompanied the growing concern shown by society. It was very strong in the 1980s and reached a high point in 1992 at the Rio Summit on Ecology and Development. Important moments in the Christian world include the first European Ecumenical Assembly in Basil (1989) (its theme was “Peace with Justice,” and it issued an inspiring final statement entitled “Peace with Justice for the Whole of Creation”); and the World Ecumenical Assembly in Seoul (1990) entitled “Justice, Peace and the Integrity of Creation.” These two assemblies were promoted principally by the World Council of Churches, which linked ecological problems with those of justice and peace. They helped to popularize the expression “the integrity of creation,” which has since been incorporated into the JPIC organisms of Religious Congregations. The Pontifical Council for Justice and Peace compiled all the teachings of the Catholic Church in matters of justice and peace in The Social Doctrine of the Church.